1, 4-Dimethoxybenzene (150-78-7) is White crystals. it is also known as Para-Dimethyl Hydroquinone, Dimethyl Hydroquinone and Hydroquinone Dimethyl Ether. Storage: Keep container tightly closed. Keep container in a cool, well-ventilated area. 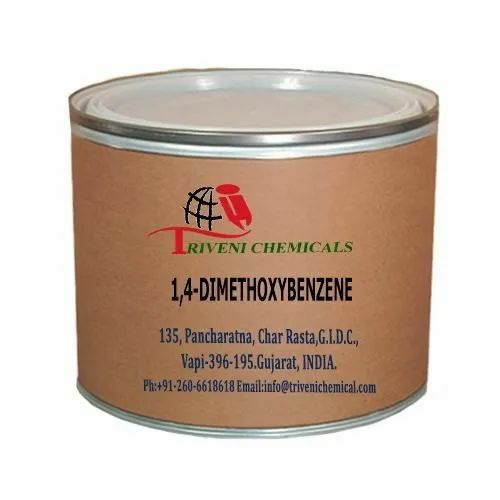 1,4-Dimethoxybenzene (150-78-7) is White crystals. it is also known as Para-Dimethyl Hydroquinone, Dimethyl Hydroquinone and Hydroquinone Dimethyl Ether. Storage: Keep container tightly closed. Keep container in a cool, well-ventilated area.